Read up on our newest series of questions and answers with PGA Jr. League players nationwide! It’s a really fun experience. You get to learn new things. I feel like everyone will really like it, not just because of the sport, but because of the people on your team. Our latest Q&A series, Golf's Game Changers, will feature PGA Jr. League players across the country. These boys and girls will answer questions about why they love PGA Jr. League and what it means to them, as well as a few just-for-fun questions. If your PGA Jr. League player would like to be featured, email us as pgajrleague@pgahq.com! This Q&A originally appeared in partnership with Black Girls Golf and its Front 9 newsletter. Q: How did you get started in PGA Jr. League? 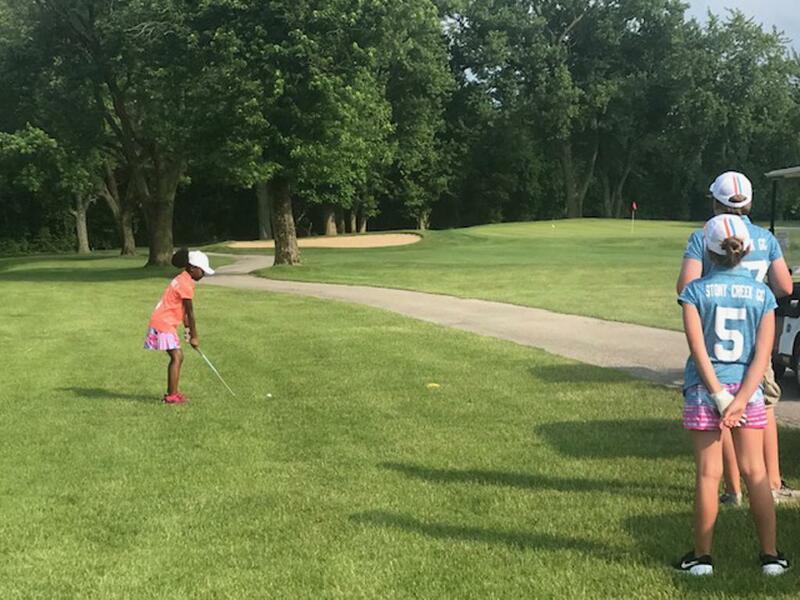 A: I started with The First Tee of Greater Chicago at Glenwoodie Golf Club, but this was my first year (2018) doing PGA Jr. League. I really liked it, so I’m hoping I can do it again! Q: Why did you like PGA Jr. League? A: We got to compete and play on course. It was fun-competitive, not competitive-competitive. Q: Would you recommend PGA Jr. League to other girls and boys? A: Yes! It’s a really fun experience. You get to learn new things. I feel like everyone will really like it, not just because of the sport, but because of the people on your team. Q: What’s your favorite memory from the PGA Jr. League season? A: We got to go to Kemper Lakes for the KPMG Women’s PGA Championship, where we met the 2017 Champion, Danielle Kang. It was so cool to see! Q: What do you look forward to the most about PGA Jr. League? A: Meeting new people and playing matches with them. Q: What would you tell other girls who might be afraid to play on a team? A: Don’t be afraid of what others might think. Don’t let anything or anyone stop you from doing what you love. Q: How does your team celebrate a great shot? A: We clap and say, “Great shot!” You want to encourage them. Q: Does your team have a cheer or a special hand shake? A: No, but I would like to have one!